In 1974, Homeopathy Department started functioning as an independent department from the Department of Ayurveda in Kerala. Homoeopathy is a system of alternative medicine created in 1796 by Samuel Hahnemann of Germany. Approved in over 60 countries of the world,as a simple, scientific, cost effective therapeutic method, Homoeopathy is gaining momentum in many parts of the world. Homoeopathy gives importance to the physical as well as mental symptoms of the patient. According to the concept of Homoeopathy, each individual is different from another. The choice of homeopathic medicine is mainly based on this doctrine of Individualization. Over 75% of Homeopathic medicinesare made from herbs. Medicines are prepared also from animals, pathological residues, minerals, and energy sources. Homeopathic practice was started in Calcutta, Bengal and in Kottayam, Kerala in 1900. On 31.05.1946, The Travancore Medical Council requested the Government to set up a Homeopathy Government Hospital for Children. In 1957, the EMS Government decided to start a Homoeo dispensary in the government level. 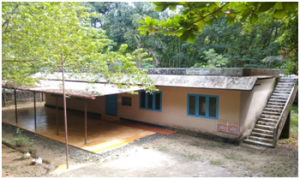 Homeopathy Dispensary started functioning on 21.02.1959 for the first time in the state of Kerala at East Fort, Thiruvananthapuram and today it serves as a 100-bed hospital. In 1961, a Homoeo dispensary was established at Velliyaamattam Idukki. New homeopathic institutions have been allocated for Idukki District in subsequent years. During 2008-09, NRHM Homoeo Dispensaries were also allotted with the help of the Government of India (NRHM). Today, all the LSGs in Idukki haveat least one Homoeopathy institution. There are 38 Govt. dispensaries, 24 NHM Dispensaries, 2 SCP Dispensaries, 2 Mobile Dispensaries and 7 Peripheral OPs providing the services of the Department of Homoeopathy across the district. Along with the above institutions, 2 hospitals with 25 beds each are also functioning in the district. The District Medical Store also has been sanctioned in 2017. The District Medical Office- Homoeo, which regulates the institutions, started functioning at Thodupuzha in the year 1991. In addition to the regular OP/ IP services of the hospitals and dispensaries, services offered through the following special OPs/ Projects located at the District Homoeo Hospital, Muttom are also availablefor the public. Ensuringmental and physical health and social equality of women and adolescent girls, providing the necessary medical assistance, legal awareness andsupport. Main services: – Jaagratha, legal service unit, medical services, counseling, rehabilitation, awareness classes, seminars, medical camp and school level programs for teenagers. Mental and physical problems among the teenagers, behavioral disorders, fears, anxiety, learning disabilities, social withdrawal, depression, drug abuse, child abuse torture, and mental challenges are solved by Sadgamaya. Service: General Op, Medical Camp, Counseling, School awareness Class, Special Education Teachers’ Services. Joint disorders are one among the most common ailmentsfaced by human race. Department of Homoeopathy offers treatment for those who are suffering from joint disorders such as Osteo arthrosis, Rheumatoid Arthritis etc. The regional prevalence of thyroid disorders is the reason why The Thyroid Special Clinic started functioning in the district. The project offers Homoeopathic treatment for Thyroid disorders, investigations, awareness classes and medical camps. Working closely with Seethalayam, it provides homeopathic treatment and counseling for couples having difficulty in giving birth to a child. Provides medical care and counseling forindividuals suffering from alcohol or drug addiction.Conducts medical camps and awareness programs in co- operation with the Excise Dept. A secondaryunit is functioning in the District Homoeo Hospital. Service of a trained Pain & Palliative nurseis available. Homoeopathic services are provided for terminally ill as well as bed ridden patients at LSG level also. It is a joint project. Along with homeopathy, yoga and naturopathy combines in a unique way to address lifestyle diseases. Provides epidemic control services through homoeopathy by providing prophylactic medicines, awareness programs etc. District Medical StoreDistributes medicinesto those Homoeopathic institutions which require additional medicines with the help of government funding.